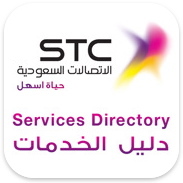 Weeks after the release of the Mobily App,The Saudi Telecom Company (STC) has released their own Services Directory App for iOS devices. The app provide information about STC’s services, allows you to send commands using SMS and access the STC services website. This application allows STC (Saudi Telecom Company) customers to manage, control, discover and use its wide range of services. – Control & Manage Services. – Find our offices locations using Maps. – Watch our videos & follow our news using (Youtube,Twitter, Facebook). – Call any of our Call Centers directly. 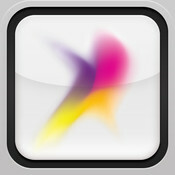 The App is free and is available on the App Store. Superb! Now let STC bring out the iphone and compete with mobily. i couldn’t fund the app! under which name is it listed? Does anyone know why did they pull out?? I would like to inquire about my handphone that cannot coonect to internet, only to WIFI. services. I am using HTC phone, tattoo model, and my cellphone number is 0554911649..kindly register my SIM card to internet communications. they pulled it out suddenly..